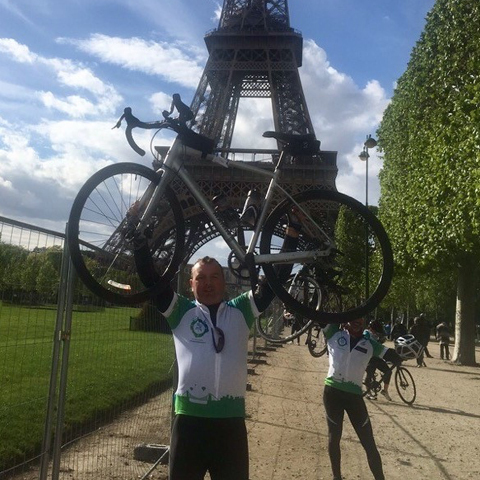 Mark Payne, The Bristol’s General Manager, cycled 430km over four days for the charity Above and Beyond, raising funds to encourage healing at the Bristol’s Children Hospital. Mark Payne raised over £1800!! The team at The Bristol did a great job in supporting him with sponsorships and started the fund raising with a raffle at the team Christmas party and raised £700 in one night. Also throughout the 4 days the team sent photos and videos to Mark wishing him luck and best wishes and lots of encouragement. Hopefully, next year we can put a team together for another charity bike ride.